The Challenge is pleased to announce our panel of nine expert judges. Our judges represent an array of disciplines and backgrounds and bring knowledge and passion to the task of recommending and advancing winning solutions to the crisis of wildlife crime. Learn more about each judge's expertise below. Cynthia Gill is the Director of the Forestry and Biodiversity Office at the U.S. Agency for International Development where she leads a team of conservation professionals and coordinates about $250 million in Agency-wide biodiversity conservation and wildlife programming per year, which is implemented through non-governmental organizations, other US government Agencies, and private firms. She has in-country experience with biodiversity, wildlife and forestry issues in more than 15 developing countries. Since joining USAID in 1993, she has led the design, implementation and procurement of a wide range of multi-million dollar conservation programs and has also helped design many USAID missions programs, including efforts to combat poaching and wildlife trafficking. 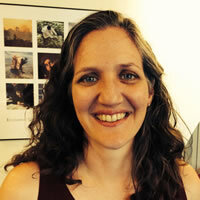 Cynthia holds a Master of Environmental Management in Conservation Biology from Duke University, and a BS in Geography from the University of Wisconsin-Madison. Her areas of expertise include tropical ecology, combating wildlife crime, and protected area management. 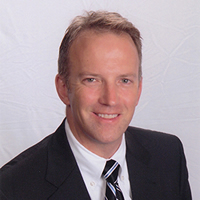 Bryan Christy is director of the Special Investigations Unit at National Geographic magazine and a National Geographic Society Fellow. In 2014, he was named National Geographic Society’s Explorer of the Year in recognition of his extraordinary efforts to halt the global illegal ivory trade. His work on international wildlife trafficking has led to major legal and political reforms around the world, and has been cited as one of ten ways National Geographic has changed the world. A lawyer turned journalist, he is author of The Lizard King: The True Crimes and Passions of the World's Greatest Reptile Smugglers. He was educated at Pennsylvania State University, Cornell University Graduate School, the University of Michigan Law School, and Tokyo University Law School (where he was a Fulbright Scholar). 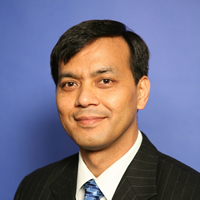 Dr. Mahendra Shrestha is the program director of the Tiger Conservation Partnership of the Smithsonian Conservation Biology Institute in Washington, DC. In the past, he has served as director of Save The Tiger Fund at the National Fish and Wildlife Foundation in Washington, DC and held various positions at the Department of National Parks and Wildlife Conservation, Government of Nepal for more than 15 years, which included protected area management and policy making. As a consultant to the World Bank, he was a core team member of the Global Tiger Initiative and contributed to the development of the Global Tiger Recovery Program and its implementation in collaboration with 13 tiger range countries and partners. He is a strong believer in biodiversity conservation for sustainable development through building necessary political will and fostering partnerships with key stakeholders for collective and coordinated efforts. Crawford Allan is an international expert on wildlife trafficking and trade, with 25 years’ experience in wildlife conservation, policy and regulation. Most recently he was selected for the Advisory Council to the U.S. Presidential Task Force on Wildlife Trafficking. He has led TRAFFIC’s black market investigations internationally in dozens of countries and directly supported strong enforcement action. He leads the joint WWF and TRAFFIC Wildlife Crime Initiative, as well as phase one of WWF’s Wildlife Crime Technology project – the recipient of a $5 million Google Global Impact Award Grant. 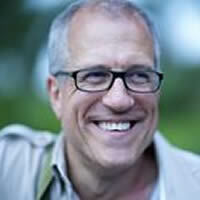 The author of publications and papers on wildlife trafficking, species conservation, improving wildlife law enforcement, and building strong enforcement partnerships, Crawford guides the development of innovative approaches to wildlife trade challenges and helped to pioneer regional wildlife enforcement networks, including ASEAN WEN and Central American WEN. He was Chairman of the UK government’s Forensics Working Group of the Partnership for Action Against Wildlife Crime from 1995 to 2005. Claudia McMurray is CEO of Mainstream Green Solutions, LLC, which provides strategic advice on sustainability, wildlife trafficking and other related issues. She provides advice to several prominent clients, including the Prince of Wales’s Sustainability Unit. She has spent her career as a lawyer, policymaker and diplomat. 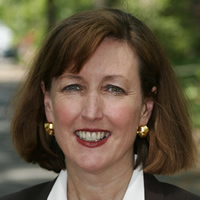 Ms. McMurray served as Assistant Secretary of State for Oceans and International Environmental and Scientific Affairs, representing the U.S. government at the ministerial level. She was also deputy assistant secretary of state for Environment and associate deputy administrator of the U.S. Environmental Protection Agency. She served as counsel to the Senate Committee on Environment and Public Works, as well as to Senators Warner and Thompson. She began her legal career at Patton Boggs, LLP and Kirkland and Ellis. Ms. McMurray currently serves on the executive board of Panthera, and WildAid, and on the Advisory Council to the Women’s Council on Energy and the Environment. She is a graduate of Georgetown University Law School, where she was an editor of the law review, The Tax Lawyer. She graduated with honors from Smith College. Senior Special Agent Ed Newcomer is currently assigned as the Wildlife Law Enforcement Attaché to the U.S. Embassy in Gaborone, Botswana where he provides investigative and enforcement assistance with criminal investigations in Southern Africa that involve international wildlife trafficking. He has been a special agent with the U.S. Fish and Wildlife Service since 2002, and previously served as a senior special agent and deputy resident agent in Charge at the Los Angeles Field Office. In Los Angeles, he supervised the investigative program in Southern California while carrying his own independent caseload. During his career, he has personally handled numerous criminal investigations involving international wildlife trafficking between the U.S. and countries on every continent except Antarctica. 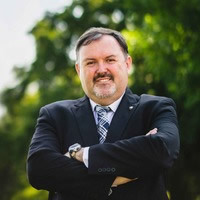 He is also a licensed attorney and, for ten years prior to joining the Service, practiced law as an Assistant Attorney General and Hearing Officer in the states of Washington and Colorado. Ethel Cofie is CEO and founder of EDEL Technology Consulting, an IT consulting and digital products company, and Mandela Fellow for President Obama's Young African Leaders Initiative. A high caliber IT professional with over 12 years’ experience working in the UK, Ghana, Nigeria, and Sierra Leone, she has worked on the Bill and Melinda Gates Mobile Technology for Health project and the Ford Foundation”s Election Monitoring project for Nigeria. 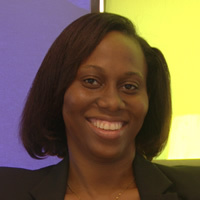 She also served as head of commercial solutions for Vodafone. She is the founder of Women in Tech Africa, which brings together women in over 30 countries, and will open offices in Zambia, Nigeria, Canada, Democratic Republic of Congo and Benin in the coming months. She initiated the first pan-African Women in Tech meet up and was a finalist for the United Nations Gender Equality Mainstreaming - Technology Award for her work supporting women in IT. She has been featured on BBC and CNN for her work, and she sits on the boards of numerous companies in Ghana, Nigeria, and South Africa. 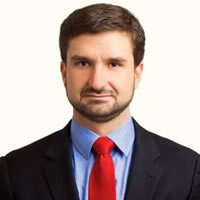 Konstantin Kakaes is a journalist and fellow at New America, a think tank in Washington, DC, where he is writing a primer on the use of drones in global development, humanitarian work, and peacekeeping,which will be published in the summer of 2015. He has written an e-book, "The Pioneer Detectives" about how scientists construct theories from data, and he writes about science and technology for a wide variety of publications, including The Economist, Foreign Policy, Slate.com, and others. Previously he worked for The Economist as Mexico City bureau chief and as a science and technology correspondent in London. He was a Knight science journalism fellow at MIT and a fellow of the International Reporting Project at Johns Hopkins University. Before becoming a journalist, he studied physics at Harvard University. 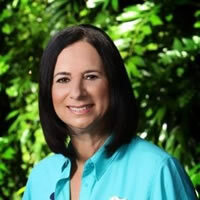 Dr. Anne Savage is conservation director for Animals, Science and Environment at Walt Disney Parks and Resorts, where she leads the sea turtle conservation team and satellite telemetry program. Leveraging technology innovation, she also leads the effort to understand the migratory route of the purple martin, a species that breeds in urban areas and migrates to one of the most remote and pristine places on Earth, the Brazilian Amazon. As part of Mission Himalayas, Dr. Savage worked with Walt Disney Imagineering and Conservation International to document animal life in unexplored regions of Nepal and China, leading to the discovery of many new species. Dr. Savage’s research in animal behavior and conservation biology has been funded by the National Science Foundation, World Wildlife Fund, National Geographic Research and Exploration, U.S. Environmental Protection Agency, and other national and international agencies. Dr. Savage received her B.A. and Ph.D. from the University of Wisconsin-Madison and is an adjunct faculty member in the Department of Zoology at the University of Florida and the Department of Biology at the University of Central Florida.